This study aimed to investigate students’ perceptions of engineers and how they vary by grade level and gender. 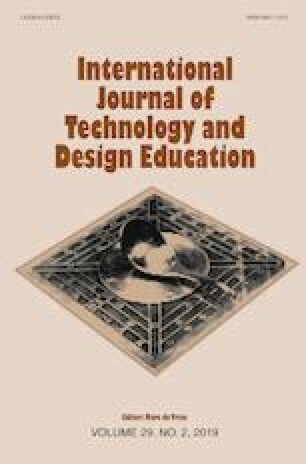 This study proposes an approach to understanding the Chinese students’ perceptions of engineers and the interest preference of middle school students in the way of graphic analysis and questionnaire. This descriptive study incorporated a cross-age design; qualitative data were collected from 390 students in a junior high school in Beijing. Data were analyzed using content analysis, and statistical tests were performed on eight factors. Although students have a basic common perception of engineers, gender differences exist, and there are gender stereotypes and one-sided perceptions of engineers. Most students tend to perceive engineers as males whose work area is limited to a single building. The drawings of students of higher grades are associated with mental activity in the engineering artifacts and processes factors, whereas students’ drawings with the presence of physical activity gradually decline. Students consider engineering to be mental work involving advanced psychological processes such as designing and inventing. Overall, the accuracy and comprehensiveness of students’ perceptions in senior grades is better than that in lower grades. Serious gender stereotypes and the phenomenon of cognitive simplification are present in middle school students’ perceptions of engineers. Chinese Ministry of Education. (2017). Compulsory education primary school science curriculum standards. Retrieved February 6, 2017, from http://www.moe.gov.cn/srcsite/A26/s8001/201702/t20170215_296305.html?from=timeline&isappinstalled=0. Douglas, J., Iverson, E., & Kalyandurg, C. (2004). Engineering in the K-12 classroom: An analysis of current practices and guidelines for the future. Retrieved April 15, 2006, from http://www.engineeringk12.org/educators/taking_a_closer_look/reports.htm.